You know what I’m digging right now? 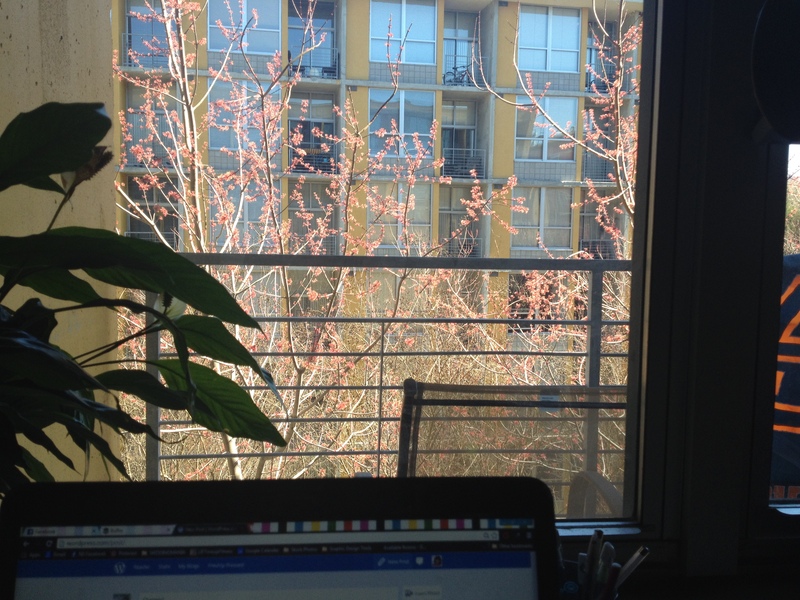 The fact that when I look out my window at my desk I can finally see some blooms on the barren trees. Hints of Spring! 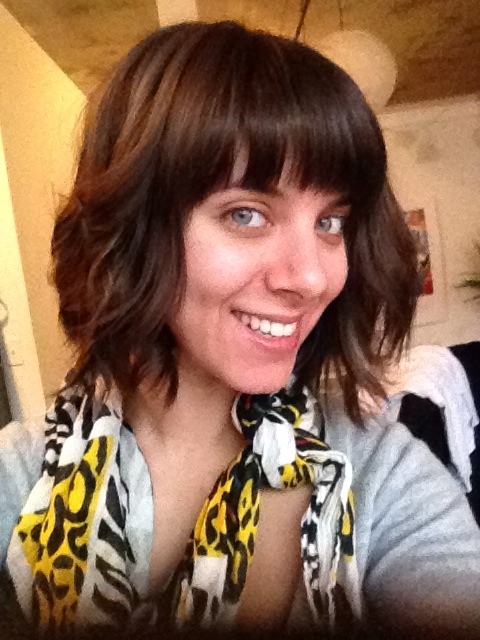 Changes! Warmth! Happiness! I also love change. To me, Spring is the ultimate symbol of regrowth and evolution, so it’s only appropriate that for me in my life, I’m going through a major “shedding of my winter coat,” so to speak! Did I mention I’m GETTING MARRIED?! And being a complete DIY bride with all your bridesmaids/family living over 2 hours away… that means I’m left to do the majority of everything myself. And yes, while my Type A control-freak side of me revels in that, it does fill me with a little bit of anxiety at times. But anyhow, the changes of Spring are exciting and scary and life is definitely going to change- but it’s a good thing! I also am noticing lately, that my mindset has taken a different, fresh, new turn these days. I tend to think philosophically and really just contemplate the types of things that are important to me, and have begun to second-guess the types of things I used to think I wanted. For example, I used to think I wanted to be a Broadway star, or a TV series regular. (I have a degree in Theatre Performance.) I sought out castings, took every opportunity to be an extra, do some modeling, etc. But these days, I honestly don’t really care if I ever become “famous” or not, and I don’t want to ever compromise my values to portray something I don’t feel comfortable with! I’m over the notion that I have to constantly impress a casting director to feel validated in any way. And I definitely don’t feel empowered portraying “Hot Girl #1” all the time. That’s not to say I would turn down a great gig, but I’m not going to live my life feeling inadequate if it doesn’t happen. One of the “coolest” gigs I ever did was a Stride gum commercial that aired all over GA at least, and perhaps nationally. However, when I look back on my acting career, that isn’t what I’m most proud of by a longshot- even though that is the one thing I did where I had random people from my life calling me and congratulating me and basically freaking out. A screenshot from the commercial. It was literally a 15 second spot and all I had to do was walk to a counter a couple times, and do a shocked expression like this. I enjoy performing, and still do and regularly audition, but these days I just have a different attitude towards the entertainment industry as a whole. When I first started feeling this way it seriously bothered me. I mean, I’m, currently paying off student loans from my decision to major in Theatre! And I don’t regret that. But I don’t know, I just feel… jaded? I’m not sure if that’s not the right word. I think it’s the notion that in that career, others’ perceptions of you and trying to “impress” everyone is inextricably intertwined, and lately I’ve just become so ambivalent to those things, and wanting to really dig deep into my authentic self, that it just becomes burdensome at times to think about being anything else! But honestly these days it seems… unappealing. I wouldn’t complain about it if it happened obviously, but just making that a goal per se is now just kind of an odd thing. I have an overwhelming desire to offer more to the world than a toned body and a perfect diet regiment. There’s more to me than my appearance! I guess I’m kind of rambling here, now, but lately I’ve just been craving realness in every aspect of my life. For example, the whole idea of appearing to have a “perfect” on social media, using Instagram filters to make yourself look better, etc. just leaves a bad taste in my mouth. I shouldn’t feel the need to pile on make-up or filter my photos to feel beautiful, and neither should you! Everyone these days is so caught up in trying to appear like they have it all together and that their lives are awesome, but it’s just not real. I see so many girls trying to hard to appear thin, to look photoshopped, to look like a Barbie, etc. There is no value in that. There is no empowerment in that. There is no positivity in trying to be something or someone else to appeal to others. Honestly speaking, this blog and my twitter account and everything has definitely made me question my entire life in general. The outpouring of support and feedback I get from people is astounding and really fills me with a joy and fulfillment like nothing else does. To know that I am helping people simply by sharing an article or a personal experience, and to know that I’m just being real in these efforts, it just validates my entire thought process that when you are authentically you, it is a magnet of power and positivity. Every time in my life I wasn’t authentic and true to myself, I was miserable. Whenever I relied on others’ opinions of me, I was miserable. Whenever I felt like I wasn’t good enough based on my own impossible standards, I was miserable. I since have let go of these thoughts and have become all the better for it and I couldn’t be more grateful! These days, I have dreams of writing a book, starting a charity, being a motivational speaker- and all of those things are absolutely terrifying because they are so new and different from anything I’ve ever done! But I just feel so strongly about empowering other women and young girls to be their true, authentic selves. To realize that they are worth more than the # on the scale. That we as women have so much more to offer the world than trying to impress some guy. That we all deserve happiness, no matter what pants size we wear. That we are simply enough. This Spring, along with cleaning out your apartment and home, resolve to clean out your mind, too! Rid yourself of all the negativity that is clouding up your soul and simply allow yourself to accept YOU, every part of you, even the parts you don’t like. And don’t ever be afraid of change. Embrace it. Don’t fight your gut or instincts, because they are there for a reason!